When it comes to earning brownie points with the father in-law nothing better comes to mind than connecting him with a dream fish he’s always wanted to catch. 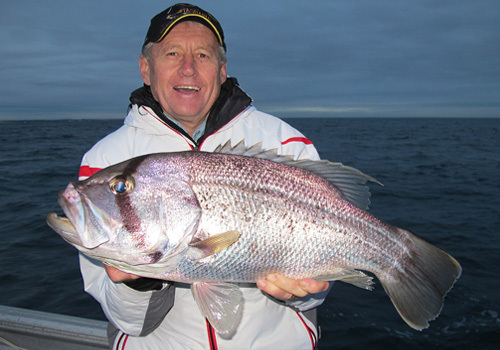 So in my case, when the in-laws came to town recently it was a no-brainer that I should capitalise on the recent run of snapper and take the father in-law, an avid bream and flatty angler, out in search for big red. Launching from Mindarie Boat Ramp in Perth’s northern suburbs we headed north west to a spot I had discovered only a few days prior. With the anchor rope pulling tight approximately 2m from the mark in 60ft of water it was time to get the berley flowing. 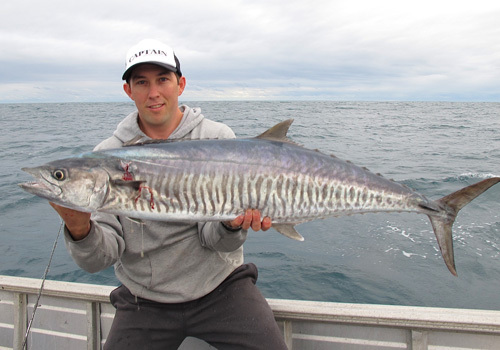 Phil had the first bait in the water and within minutes of his first cast ever into WA waters his rod buckled over. It was game on and 12lb line emptied from his reel as a solid fish bounced underneath the boat in a fashion not resembling the target species snapper, but more like a slower but equally powerful WA Dhufish. After a 5 minute tussle we got colour as a respectable 4 to 4.5kg WA Dhufish surfaced. Talk about luck, Phil had managed one of WA’s most iconic fish species on his first cast and only minutes into the session. After a few quick pics were taken the dhufish was bled and placed on ice for that night’s dinner. It didn’t take Phil long to get his line back in the water and be connected again, this time to what we believed was a very large snapper in the order of 9kg plus. The fish hit hard and the screaming first run left Phil buried in the reef before he got a chance to even turn it. Over the next couple of hours the fishing we experienced was in the upper level of awesomeness compared to a usual days fishing in Perth. 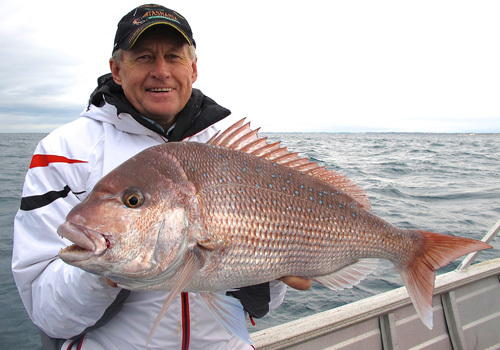 Additional to the odd knee-rattling bust off we both managed to land respectable snapper in the order of 5-6kg, a couple of smaller snapper between 40-60cm. The bonito also turned up at one stage providing great fun on light tackle. Being a strong believer in catch and release and due to the fact there were fish fillets already in the freezer it was an easy decision to do the right thing and release both of the bigger snapper, giving them the opportunity to hopefully breed again and ensuring our fishery remains as healthy or if not better than it currently is. The bait of choice on the day was WA mulies, otherwise know to eastern staters as pilchards. 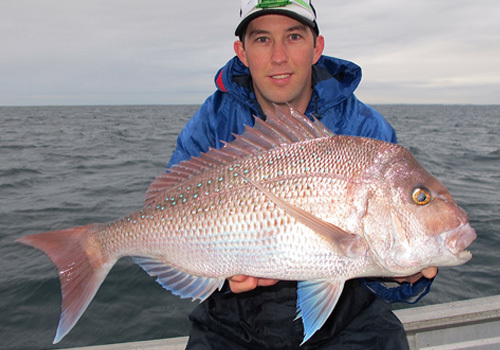 There’s no surprise that mulies make for fantastic snapper bait due to their natural oiliness. On days when there’s lots of pickers around scalies might be favoured over mulies but on this particular day there were thankfully very few small fish around. We also threw 7″ plastics side by side with bait for a good hour or so with no success while at the same time our mulie baits were getting smashed. With the current speed on the increase our size 1 ball sinkers were finding it hard to sink the bait into the strike zone, the lower third of the 20m water column. Up-sizing to a size 2 ball sinker paid off. As my bait neared the bottom I was hit hard, experiencing a simultaneous drag melting first run and losing over 150m of braid before the fish slowed and I got my first chance to turn it’s head and feel it’s true weight. As the fish neared the surface in the distance it had me scratching my head as to what it might be, simply because the possibilities of what it was just got narrower and narrower until it reached zero. The fact that I was using 30lb fluorocarbon leader to a single gamakatsu 6/0 octopus ruled out toothy critters like mackerel or shark, the fact that the fish came to the surface and hadn’t buried me in the reef already ruled out yellowtail kingfish and the shear speed of the fish ruled out samsonfish. After battling it out for about 5 minutes or so the first glance revealed the opponent and sent tingles through my body as nerves started to set in. It was a Spanish mackerel and a decent one at that. This explained the explosive first run and the surface interval that soon followed. Knowing that I was connected to sizable mack without any wire really did put me on edge, especially as the fish continued to scrap it out each time it neared the boat. After a few knee wobbling moments the metro mack was brought on board and it was celebrations all round. For those wondering, the fish was actually hooked right in the corner of it’s jaw and the hook basically popped free when the fish hit the deck. After we grabbed a few pics we began to comprehend how unlucky this fish was to be caught against all odds, especially at this time of year in the same 20 degree water where people were actually catching salmon. It’s worth noting the weather conditions on the day. The wind was blowing between 8-15knots ESE, it was overcast and the current was ripping to the south. Thinking back on some of the best snapper sessions I’ve had in Perth they all have one thing in common and that is a stronger than usual current. Whether the current be pushing from the north or south it doesn’t seem to matter as long as it’s strong. Without being able to give a definitive reason for the correlation between strong current and hot snapper bites, one theory that seems to fit is the fact that your berley is dispersed further afield in a stronger current. A wider distribution of berley means attracting more fish to the back of your boat. Whether this is the sole reason for greater snapper success or whether there are other contributing factors in times of strong current I’m not too sure, but one thing is for certain when it comes to inshore snapper fishing and that is ‘more run, more fun’.